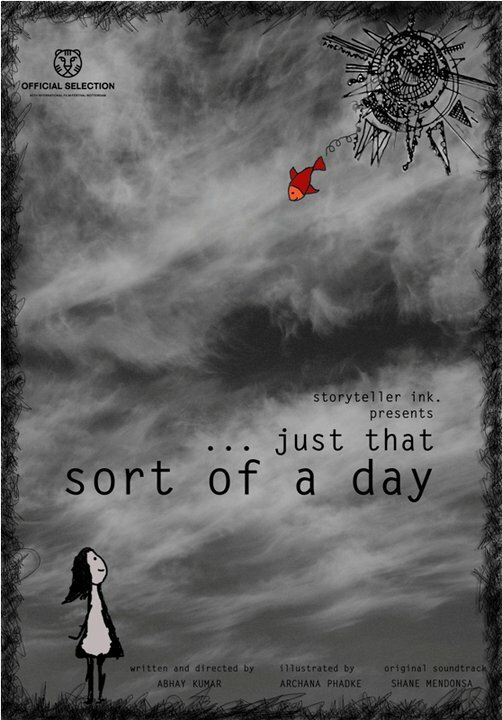 Abhay Kumar’s …Just That Sort Of A Day is just BRILLIANT! Abhay Kumar – the name sounds familiar. Little bit of searching and i realised that it’s the same Abhay whose short Udaan was in the news when Dibakar Bannerjee’s LSD released. His short was suspiciously similar to one of the stories in LSD and we wrote about it earlier here. Finally saw the film and it was love at first sight. Quickly wanted to watch it again because it’s just BRILLIANT. No actors, no names, random characters, all moving around in that very familiar atmosphere with those very familiar emotions. Difficult to put a finger where exactly you connect with them and start flowing with their emotions because it moves fast and jumps from one character to another. Add to that, some biutiful images and you are easily lost in that maze called life. Made over a period of 9 months and shot on a handycam with zero budget, the film is a Must-Watch for those who have been cribbing about the death of new ideas. Without explaining much, will just say that it also works as mixed art form installation, and i was grinning from ear to ear while watching it. Pure joy! The film premiered at the Rotterdam Film Festival, is also in competition at the IFFLA and has now been selected for the Tribeca Film Festival.Watch it, whenever you can. Congrats Abhay. Way to go! Click here to go to its Facebook Group. congrats abhay – Tribeca should be special!!! would love to see it when u show it in Mumbai! congratulations abhay… way to go man..! Please let me have the contact details of Ann Abraham. Doing a story on the film awards. Congratulation Abhay, when we can see this in Pune?